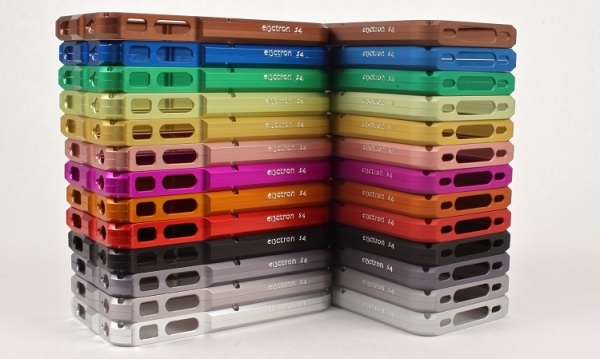 E13ctron has added a few more options to their S4 aluminum case for the iPhone 4 including anodized matte options for all the available polished colors as well as the ability to purchase single top or bottom pieces if you already own an S4 case and want to have some more color options at your disposal. You can see in the picture above the two versions of the finishes. On the left are polished S4 cases and on the right are matte S4 cases. The matte S4 case will run you $84.99 and each additional top or bottom piece run for $34.99. We loved the S4 case and you can check out the review here.